– What to plant and when. (Next year I must leave space for broad and green beans and NOT fill the whole plot with cabbages and leeks). – Crop rotation? (I need some advice please). – Bugs and diseases (If they’ve not already discovered my patch of terra, knowing my luck they soon will!). So what’s happening on Piglet’s Plot this month? Well, just as I thought I was on a winning streak and I’d overcome the root invasion problem I discovered white cabbage mold had attacked a couple of the green cabbages. A quick search on the internet revealed once Sclerotinia rot is in the soil the crops I wanted to grow, will be affected, so not good news. However, a couple of my blogging buddies came to the rescue and suggested covering the soil with black plastic for a couple of months. This would UV treat the soil and hopefully solve the problem. Once I have harvested my existing crops I will certainly try this method. Replacing all the soil is not an option and Mr Piglet is not keen on keeping a pig or chickens. The red cabbages are growing extremely well. The centres are beginning to form and are the size of tennis balls. However, thanks to my cabbage buying frenzy last December I will have far more red cabbages than I can eat in a short space of time. I’ve never pickled red cabbage before any one else tried or do you have other recipe ideas? Remind me, how many red cabbages can I eat? Since feeding my lime tree with Sintex foliar the leaves have turned green again and the tree has several flowers plus one baby lime. For some reason limes are really expensive in the supermarkets so if I can grow my own that will be great! Loads of fruit, buds and flowers and although growing in a pot seems to be doing well. Now has a monthly feed of Sintex foliar and banana skins. The winter fruiting orange tree we bought at the market and planted in February is still alive. It initially lost loads of leaves when it was first planted, but fingers firmly crossed it seems to be holding. Feed monthly with Sintex foliar. They are still there, but no sign of any olives. Still a dead looking twig. I love figs and this is my 3rd or 4th attempt! Fig trees grow wild here without any care or attention,. I wonder what I’m doing wrong. Growing well with lots of new leaves. I’m going to cover these in a separate post. I am delighted with my crop of carrots and continue to follow the tips offered by Hortophile. Rather than grow the carrots in a line I contained in a small square which certainly makes watering far easier. The carrots have grown exceptionally well so I will be doubling the size of the carrot area. Unfortunately, I planted the leeks randomly between the cabbages and broccoli. Next year I will plant in a square the same as the carrots. Hortophile mentioned they are thirsty veg and I need to water well. A friend looked at the leeks yesterday and said I’d also not planted them deep enough. My broccoli have grown well, but unfortunately the heads began to run to seed very quickly. Next year I must stagger the planting so they are not all ready at the same time. 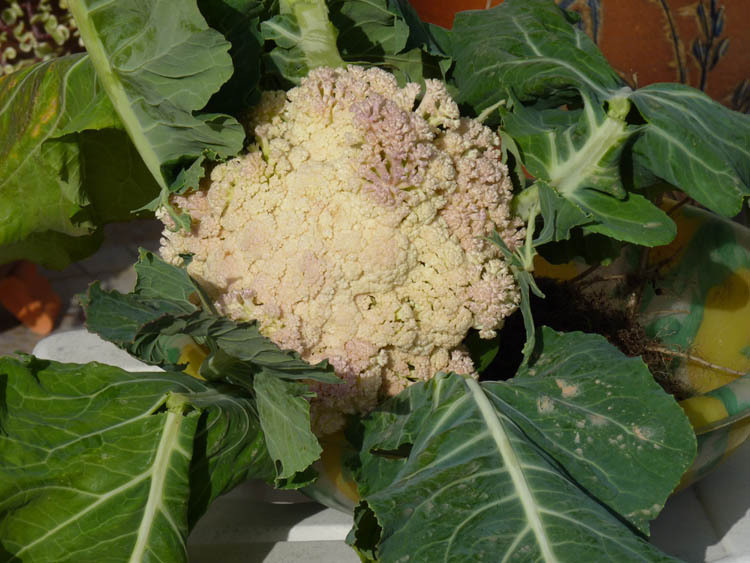 Leeks, cauliflower, brocoli, carrots planted beginning of December – harvested from mid March onwards. 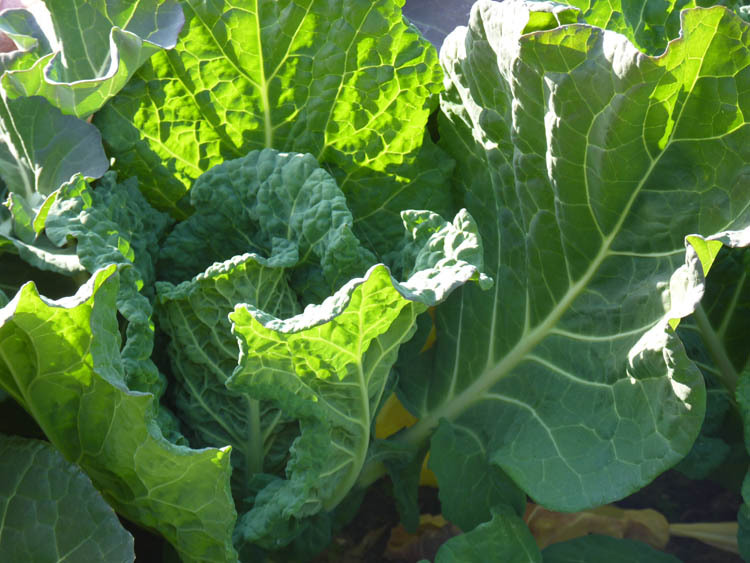 Red and green cabbage – harvested and shredded young outside leaves from mid January to make Calde de Verde soup . We now have this once a week! Spinach, rosso and green lettuce – harvested leaves from mid January. Radish – planted at three-week intervals between slow-growing crops. Excellent results. Strawberries continue to fruit, however I will need to increase the quantity of plants if they are ever going to yield more than one bowl full at a time. Physalis continue to yield fruit and I’ve grown several plants from seed to bring on this year. However, due to the invasive nature of this plant I will continue to grow in pots! My leeks are more leaf than leek. 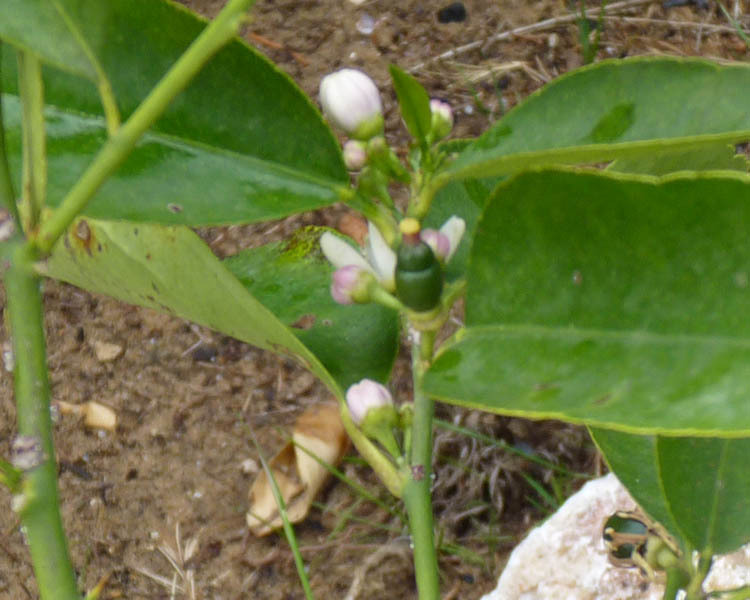 The edible white part (technical name, unknown) is only couple of inches long – any tips to improve productivity? 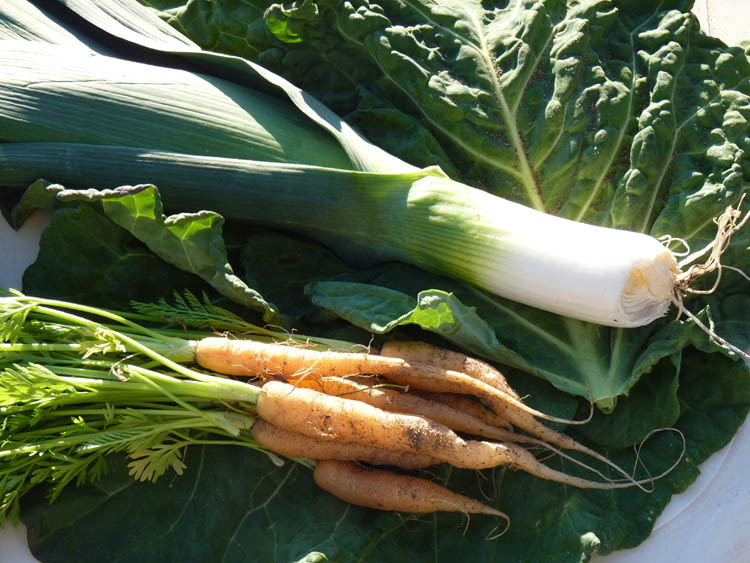 What veg rotates well with carrots and leeks? 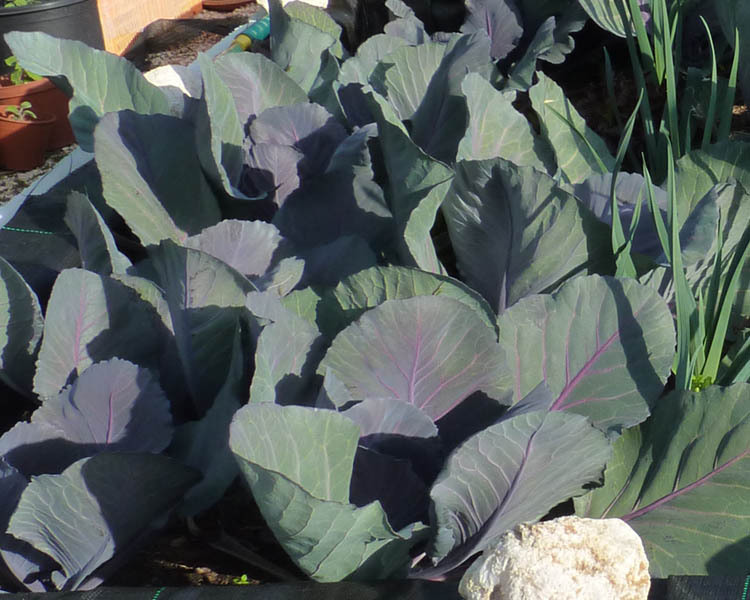 I also need some recipes to use all the red cabbage I’m growing – suggestions please! Hot Cross Buns to share with friends at Easter! Your veg are looking great Pip! I’m glad my carrot growing advice holds up considering our different growing conditions! I like to eat cabbage shredded into a fish taco. I know mine is supposed to be a gardening blog, but I think I might have to post my fish taco recipe, they’re soooo delicious! Hi H, well I’d always grown my carrots in lines until I read your blog post on carrots! Although your blog is primarily gardening, there is no reason why you can’t post recipes, especially if you are also cooking what you grow! Plant your leeks deeper in the soil next time to get more white, but you can eat the green part too, up to where it starts feeling a bit tough – I use it in potato and leek soup; slice them into rings, like you would spring onions! 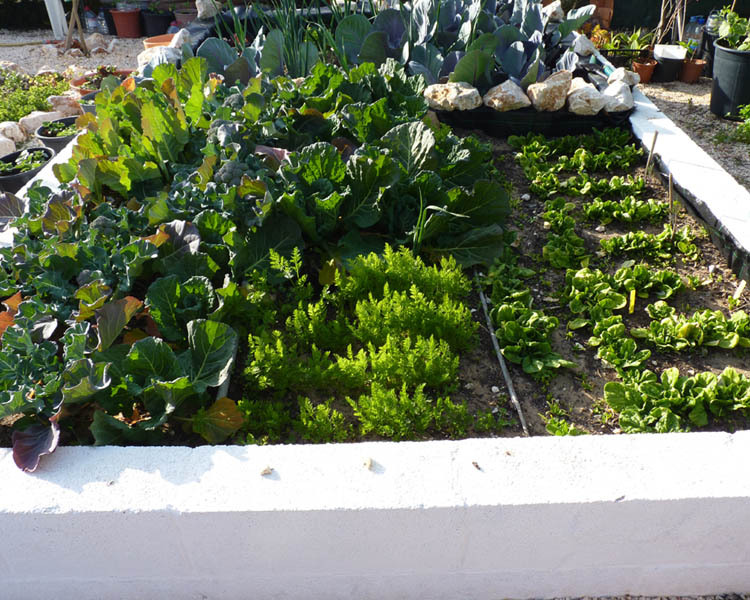 Your veg garden looks very healthy Carole, I’m jealous! Hi Barb, yep will ahve to plant them deeper next year. Potato and leek soup sounds good! I don’t think my plot is health, don’t forget about the white cabbage mold! God bless your green thumb. Stick with it! I am jealous too! Have a look at this from Jamie Oliver – I love his cooking and this looks nice. He has 3 red cabbage recipes. I love the look of the MExican street salad. Once the middles of the red cabbage are more developed I will give it a go! PIP, the garden is looking rally good. Learning is all part of the process…the Hubs and I have planted tomatoes, cucumbers, carrots, onions, potatoes, squash and peppers. I have heard there are certain flowers that are natural bug deterants…you will have tp google it. You’re doing an awesome job. You’ve come a long way baby. I think you should write a book and make it available for other expats that move to Portugal. I’m envious of your fruit orchard. That’s so great that you have such healthy fruit thriving. Your garden looks great. I’m sad about the losses you had earlier, but I’m glad you’re continuing on and growing so many delicious varieties of food. Keeping a diary on my blog is a great way to record everything. JEanne has given me a great idea re planting plants to repel insects. I am going to research further. We’ve always used ALL of a leek, (ok except for the toughest outer green layer). Simply slice finely and use as normal, GREAT in soups, stews, etc. …. one easy recipe: finely slice cleaned leeks, place into a bowl of water to soak, this takes off the sharp taste of the leeks that kids sometimes don’t like, change the water once if you can… drain. Boil potatoes, add leeks half way though cooking time, mash together, for decadance add milk, butter or cream and grated cheese as you wish… makes and easy and different “company” dish that can be made in advance and heated in the oven and gives spuds some variety, colour and taste. 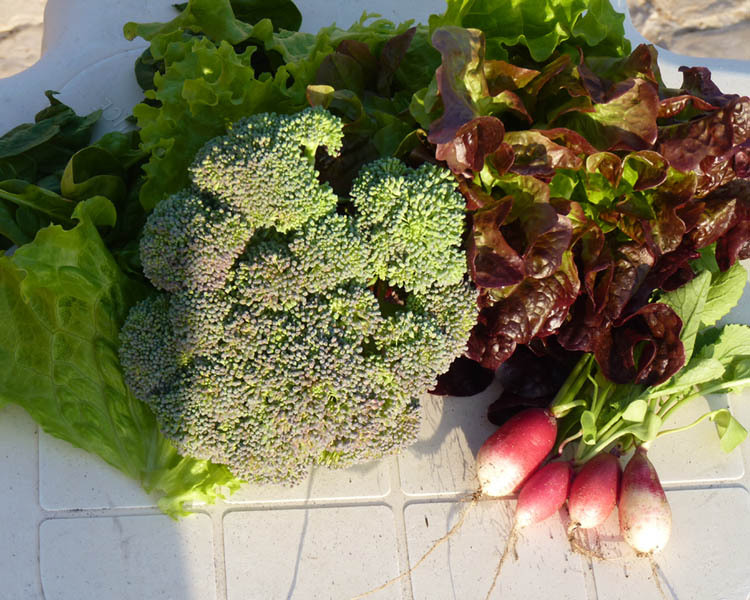 Wow – what a productive garden so early in the year! It’s fabulous. Am desperately fighting down my green-eyed jealousy and trying to focus on the green-fingered inspiration you’re providing! Hi a, I’ve never grown veg through the winter before so have nothing to compare to as to whether this is normal. This winter has been dry and warm where we are. Your veg patch looks great to me and so neat and tidy. Mine is just wild! I look forward to “inspecting” your progress. If you’ve had a veggie patch ploughed it sounds BIG. I thought I remember seeing a raised veggie patch with a wall behind…am I getting confused? As they say in Piglet Portuguese “Grande horta, mais problemos :)” I am green with envy. Beautiful, PiP! Congratulations! For some reason, our lemons here have gotten really expensive and they are tough and less juicy. Wish I had a plot of ground where I could grow my own. The lemons and oranges here are the same. We’ve ahd a very dry winter resulting in poor crops of oranges, which have pushed up the price. AMybe in time you will e able to grow your own. I’m surprised that you aren’t growing kale (unless I missed it). I grew up eating kale soup, but maybe that’s just an American/Portuguese thing, even though I’m starting to see kale now being served in high end restaurants. I think I grow something similar to Kale, but this is the first year I’ve ever gornw green cabbage. It’s a bit of an experiment. Are the Kale cabbage those tall cabbages? Hydroponic growing is the practice of cultivating vegetation without the utilization of soil. It’s a reasonably modern concept and while the thought of growing vegetation without applying soil could sound unusual, it’s an amazing technique to protect the environment and stop the depletion of natural resources. Hydroponic growing supplies look more like a research experiment very than a garden, however they provide the same great-tasting provide you may be familiar with without the environmental cost. By using a hydroponic supply to develop vegetation, you are able to equally avoid issues that arise when applying soil. Hydroponics allows you to straight control the intake of vitamins and then the growth of every plant. I don’t suppose you get cabbage mold if you use the hydroponic technique. I like to saute cabbage and onion and stir into mashed potatoes. I also enjoy making cole slaw. If you saute the cabbage, you should be able to freeze it for soups. Unfortunately, I can’t freeze much because since we got stitched up on our insurance claim when we lost all the food in our large freezer last year, we have not bothered turning it on again. Still I am getting quite a dab hand at making cabbage soup! Like the idea of saute cabbage and onion with mash potato…going to give that one a try! Sounds great.You have great skill. It’s difficult for me to grow cabbages because many cabbageworm eat leaves. I don’t want to use pesticide. Jean suggested certain flowers are natural bug deterants…I googled this and was amazed, because some are herbs so good addition to herb garden as well! HAve you tried this? Olá, gosto da sua horta! Está bonita! É assim uma horta em Portugal! Boa noite! Olá Linda e boas-vindas! Obrigadinha 🙂 para as tuas palavras. A minha horta tem muitas problemas. Sinto-me triste 😦 A terra está mau! Até proxima semana. Eu vou estudar Portuguese. It looks GREAT, Carole! I’m impressed. So glad your earlier problem didn’t cause a complete catastrophy! Hi Robyn, Unfortunately the problem is still lurking in the background. At least it is only lurking and not dominating, I gues. Hi KAtrina, and thank you so much for the tips! The fungus is still there so I’m not planting any new crops in the soil this year. Just trying the UV method to serilise the soil. Have you tried it? Congrats on your harvest so far! It looks like you’re getting a great green thumb! That is an impressive bounty… You did good.